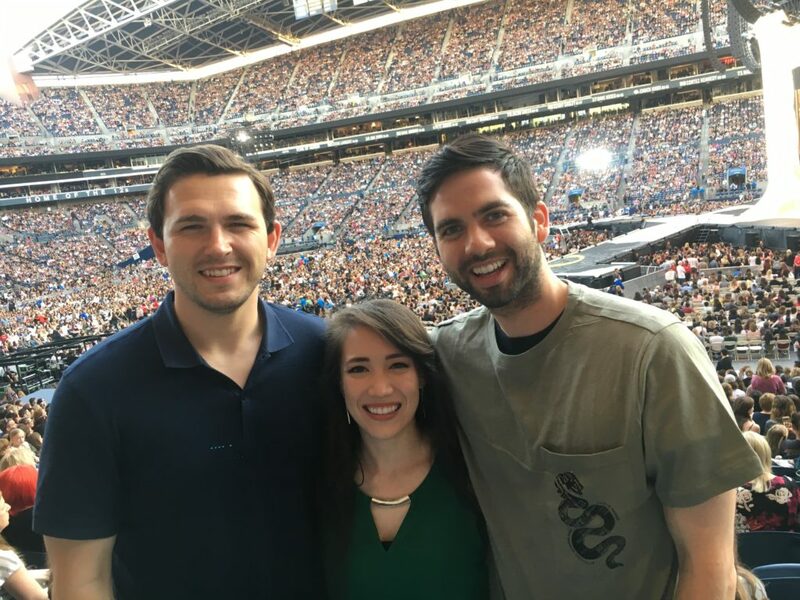 Dr. Joe Vaughn, left, attends a Taylor Swift concert with his fiance, Dr. Rica Mackert, and Dr. OJ Valdez. On a random Tuesday night this past May, I found myself sitting with 56,000 other people in CenturyLink stadium. This time, it wasn’t the 12th man I was sitting with. It was with 56,000 Swifties. Yes, we were at the Taylor Swift concert in Seattle. Surprisingly, it was one of the most unique experiences I’ve ever had. Thousands of people there to see one thing. People were dancing and singing, introducing themselves to the people around them, connecting on a level that was more in sync than what I had ever experienced at a Seahawks game. For just this one night, their differences didn’t matter. What separated them was no more. For one night, we were all on the same team. Did you know that there’s somewhere around 196,000 practicing dentists in the United States right now? That’s a lot of licenses, a lot of practice philosophies, a lot of diversity. We were trained differently. We learn differently. Our states differ on what’s required to even become a dentist. But despite all of that diversity and all of those things that make us different, there’s no doubt that we all share this central bond. Maybe it’s the rigorous training we all went through. Maybe we connect on the tribulations of starting up a practice or dealing with difficult staff interactions. Maybe it’s the joy of successfully treating a complicated case and being able to share that with our peers. Whatever that something is, it doesn’t ever seem to go away. Put me in a room with 1,000 people of all different professions and I will naturally gravitate towards the ten dentists in the room, and we’ll probably talk all night. Dentistry is a part of who we are and it only makes sense to connect with those who have also committed their lives to its practice. When I stood in that stadium Tuesday night, surrounded by people that I had absolutely nothing in common with, I felt a connection to them. We were different, but we were there for one reason. And what brought us together was the love for live music. It’s the same in dentistry, but instead of music bringing us together, it’s organized dentistry. 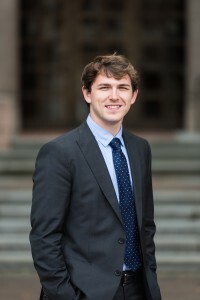 Whether it be the WSDA or the ADA or any other local component in between, we are connected by a common purpose. I feel empowered when I see the WSDA tackling the opioid crisis. I feel empowered when I see them making great efforts to fight the inconsistencies of powerful insurance companies. I don’t feel so alone anymore about my enormous student debt when I see the ADA reveal stats that the average dental student debt right now in America is above $250,000. I feel reassured when a more experienced dentist reaches out to me to lend their support and guidance and mentorship. The ADA is the glue that holds us together. Organized dentistry has always been important, but I think it’s important now more than ever. It gives us that voice in the political arena. It gives us all a support system, one that today’s new dentists especially need. And then it also gives us a platform to network and learn and do big things for our patients and for the world. Without it, we’re just a bunch of lonely, isolated lights glowing in the wind, with no synchronicity or the slightest chance of ever working together to realize a bigger purpose. But when we have the ADA, when we decide to become a part of organized dentistry and actually participate, then we become part of the same team. We step into the same stadium for the same reason, swaying back and forth in full sync. And we begin to take those necessary steps to make the biggest impact possible, not only for our patients, but for our entire profession. Editor’s note: This blog post, reprinted with permission, first appeared in the Washington State Dental Association Magazine in July.